Talcum Powder Linked To Ovarian Cancer? 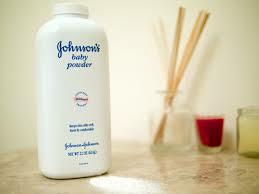 There Is Evidence To Suggest Prolonged Use Of Talcum Powder May Be Linked To Ovarian Cancer. Does long term use of talcum powder increase risk of ovarian cancer? Suspicions that talcum powder might cause ovarian cancer has led manufacturers of condoms to discontinue its usage as an adhesion-preventative in their products. Talcum powder has long been a personal-hygiene and cosmetic staple around the world. It is commonly seen in babies’ television commercials and in women’s cosmetics bags for various hygiene needs. Lab studies, in which animals such as mice and rats have been exposed to airborne talc, have yielded mixed results. Some lab animals have developed cancerous tumors, and others have not. The tests have not yet been able to determine why the effects of talc have been so varied. But lab studies are not the only way to test for the potential links between talc and cancer. Useful results may also be found by studying the cancer rates in groups of people who have had different rates of talc exposure. Such studies are less carefully controlled than lab tests, but can still yield compelling results. In studies that survey the rates of cancer exposure in different groups of people, results have also been varied. Some studies suggest that an increased exposure to talc correlates with an increased rate of ovarian cancer; other suggest no link. Studies that compare the rates of talc exposure in miners have yielded similarly inconclusive results. In some cases, miners with greater exposure to airborne talc have shown greater risks of lung cancer. In other cases, they have not. Some medical experts are unequivocal in their opinions that talc can cause ovarian cancer. An example of such an expert is Daniel Cramer, M.D., a doctor and medical researcher at Harvard University. Dr. Cramer has repeatedly stated that, since numerous tissue samples from cancer-stricken ovaries have revealed the presence of talc particles, talc particles are likely to play a significant role in causing the disease. The linkage between talc and ovarian cancer is nothing new. Some 20 years ago, the head of the Cancer Prevention Coalition pleaded with the CEO of Johnson & Johnson to warn women of the risks related to prolonged talcum powder usage. The company refused to do so. The powder — made from talc, a mineral that consists of the elements magnesium, silicon, and oxygen — is used to absorb moisture and cut down on friction. Some talc contains asbestos, a substance that has been linked to cancers in and around the lungs when inhaled, according to the American Cancer Society.